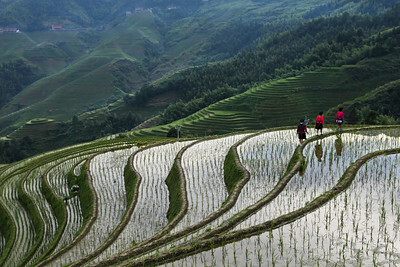 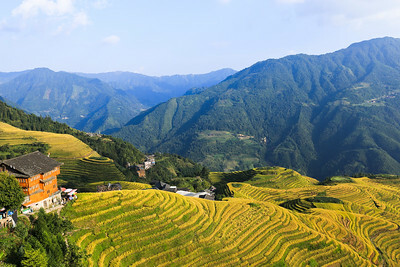 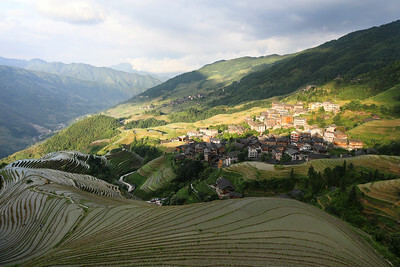 Longji rice terraces photo gallery collect amazing rice terraces photographs taken at the different season with diferent scenery,bring you more inspirtion and skills to take wonderful photos in Longji rice terrace area. 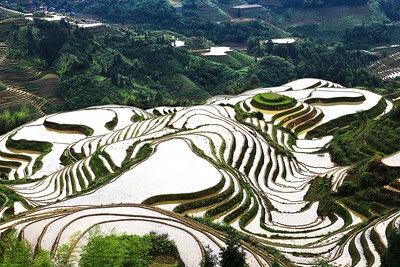 Mirror-like rice terrace reflect the white clouds in the calm water in Longji rice terrace in spring. 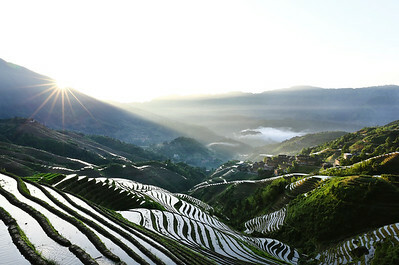 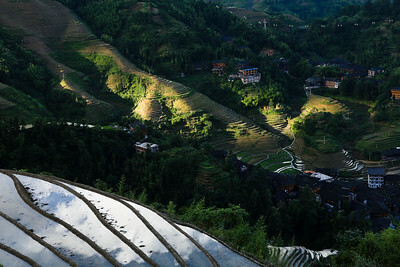 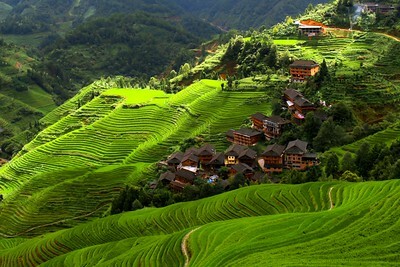 The sunlight reflect the rice terraces and Ping'an village just after the sunrise. 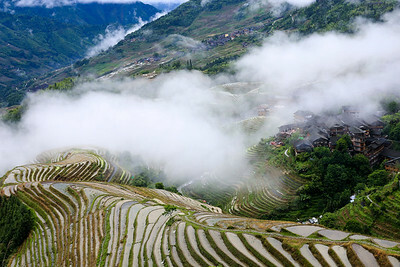 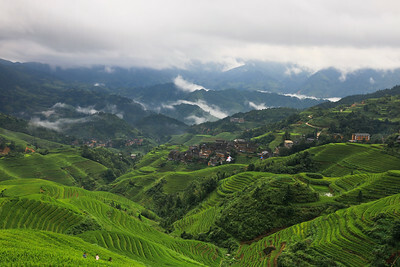 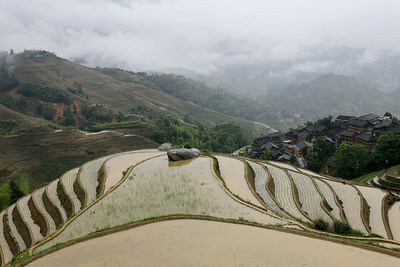 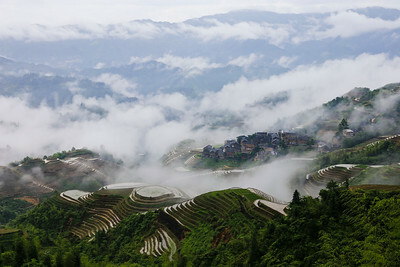 The dramatic mist surround the Longji rice terraces and Ping'an village in misty day. 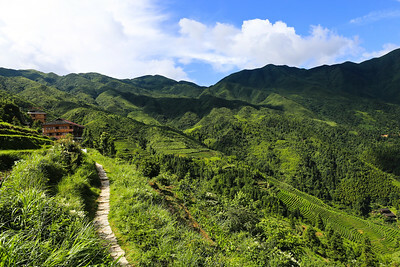 a scenic and peaceful trail lead toward to the house in the remote mountain area. 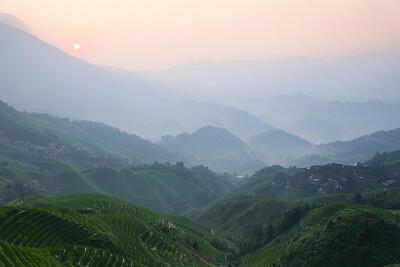 moody sunrise raise from the mountain village and its nearby rice terraces at Dazhai village.